COCHE A ESCALA 1/43, DE LA COLECCION DE RALLY ITALIANA DE EAGLE MOSS ALTAYA, MODELO VW GOLF GTI 16V DEL RALLY COTE D`IVOIRE DE 1987. 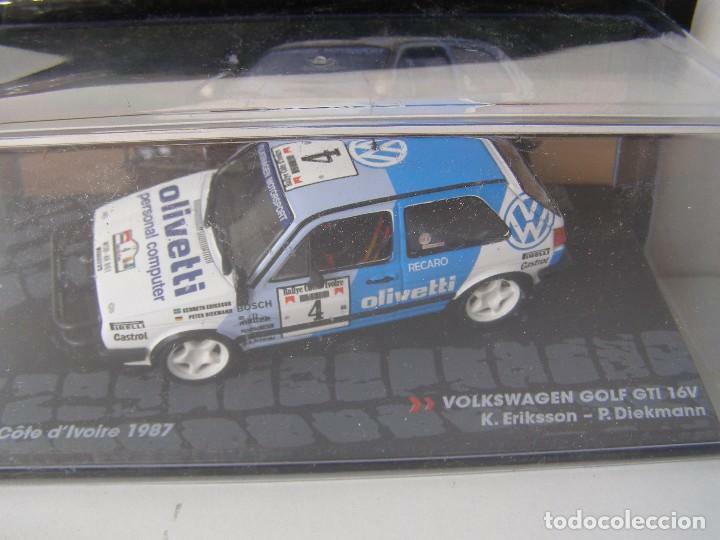 1/43 VOLKSWAGEN POLO R WRC DE OGIERI, NUEVA COLECCION RALLY MONTECARLO ITALIA, EAGLE MOSS ALTAYA. LANCIA DELTA INTEGRALE 16V, RALLY MONTECARLO 90, COLECCION RALLY DE ITALIA, EAGLE MOSS ALTAYA 1/43. Hora oficial TC: 00:31:20 TR: 112 ms.